When you make a video tutorial to teach Indian rummy, remember that the person watching may not know anything about rummy. That is why it is not enough just to explain the rules of the game. You must show through example so that the people viewing your video know exactly what is being told in the video. When you show an example in the video, it is possible to grasp what is told quickly. There is no use sharing the same content in the form of different videos. People get bored watching the same thing again and are always open to change. That is why you must learn to create fascinating and unique video tutorials that cover all aspects of teaching rummy without being repetitive. There are many sites that allow you to play rummy games and share rummy tutorials. The ones that suit the viewers are the ones that gain appreciation. The pace of the video tutorial you create is of extreme importance. It should not be too slow or too fast. If it is too slow, people get bored of the video. If it is too fast, people do not understand what is being told. That is why you need to make sure that the pace of the video suits the viewers. This will prompt more viewers to learn rummy by viewing the video tutorials. They may even share the link with other possible players and getting more traffic to the video tutorial. Your aim while sharing a rummy video tutorial is to teach the viewer to play rummy online and offline. Too much data can confuse the viewer. This is disastrous for the site. You need to create a video that is concise and clear. The best way to do this is cover just one topic in one video. For example, if you teach about ways to make a pure sequence, stick to that and do not share information regarding sets or melds. When you make a video on 13 cards rummy game, stick to that and do not try to share information regarding other variants of rummy. This is the simplest way to retain the viewer’s focus and interest. Many times, people make videos in a haste and do not see whether it is made properly. When a video is made, one thing that needs to be checked is that the video and the audio match correctly. Otherwise, people may discontinue watching the video half way through. Check this aspect of the video tutorial before you upload the video. No one can tell you how good your video tutorial is better than the viewer. That is why it is a good strategy to ask the viewers for opinions and feedback. Ask them whether the video tutorials were useful. Ask them how the tutorial can be improved. You may also ask them which other tutorial on rummy would they like to see. Answers to these questions can help you come up with some interesting video tutorials for rummy. 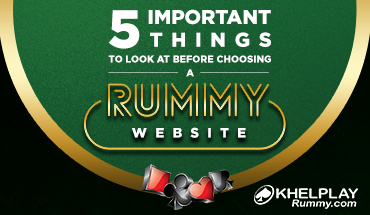 If you are looking for some interesting ways to enjoy rummy online, KhelplayRummy is the site for you. 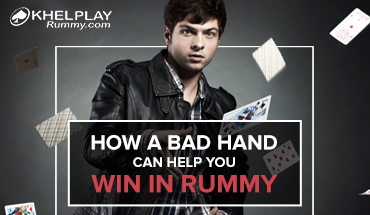 They have multiple video tutorials to help you understand the nuances of rummy playing. Create a free account to play different variations of rummy online on KhelplayRummy.